First day back from vacation, and a thousand trivial indiginities plagued me. I had a million things to dig out of, and was frustrated by so many small interruptions, inefficiencies, and interferences. I can’t point to any particular problem, just an unending array of irritation that ultimately boiled over. 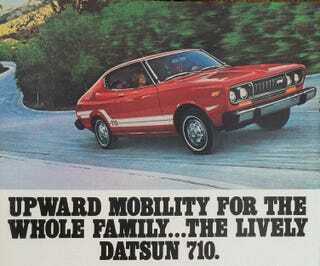 So I am looking at old Japanese car ads on line. There are so many cool old ads. Do you have a favorite? Trying to cheer myself up with these. Show me some fun ones.